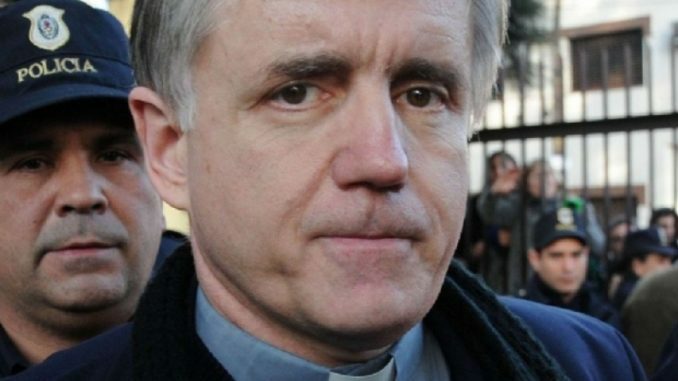 Don Nicola Bux: "Pope Francis has an aversion to the Church"
Don Nicola Bux: "the pope can not spread his private ideas instead of the eternally valid Catholic truth." 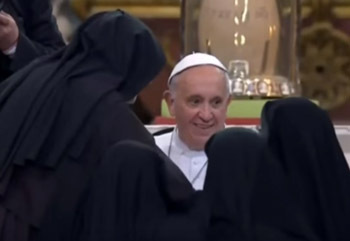 Pope Francis at the General Audience of 2 January 2019. (Rome) The well-known liturgist Don Nicola Bux is contradicting statements made by Pope Francis at the General Audience on 2 January. In an interview with the daily Quotidiano di Foggia, the theologian esteemed by Benedict XVI said: "The Pope can not spread his private ideas instead of the eternally valid Catholic truth. The Gospel is not revolutionary". Don Nicola Bux was one of the advisers who were especially appreciated by Pope Benedict XVI. This is especially true for the liturgical area. Don Bux supported the liturgical renewal, which the German Pope wanted to promote through the recovery of the sacred and the promotion of the traditional Rite. Under Pope Francis, this changed. Like all the other consultors for the liturgical celebrations of the Pope, Don Bux was no longer confirmed in office. In an interview that Bruno Volpe conducted with him, he commented on Pope Francis' controversial statement on January 4, who two days earlier had stated during the first General Audience of 2019 that the Gospel was "revolutionary." QF: Don Nicola, is the gospel, as claimed by the pope, revolutionary? Don Nicola Bux: No. 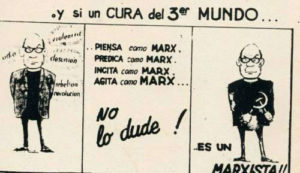 This is a thesis that came into fashion in the 1970s after the publication of a few books, permitting the ideas of '68 and Marxism to shine through. It was intended to make the figure of Jesus more attractive, but has no theological foundation. Don Nicola Bux: The Gospel tells us that Jesus did not come to abolish the law, but to complete it. A revolution, on the other hand, spares neither the past nor the present. Jesus is one of them, as St. Paul says so beautifully. He unites everything in himself. It is true that it is written in the Secret Revelation that He makes everything new, but this verse is to be read in the sense that He brings everything to perfection. QF: Better atheists than Christians who hate? Don Nicola Bux: I think that the problem is that the Pope deviates from the text prepared for him and directs his eyes to the audience. My impression is that certain statements come from a certain complacency, but above all from his aversion to the Church. Pope Francis prefers, instead of a people in the true sense of the word, a vision of the Church as a blurred, undefined people. He does not realize that he is sliding into a contradictory and Peronist perspective, a form of schizophrenia that even clashes with the idea of ​​mercy so much hailed. Don Nicola Bux: When I say that someone who hates, that is objectively in a state of sin, does well to stay away from the Church, but at the same time asks divorced men who are remarried by marriage, who are objectively also sinners, in to come to the Church and give them Communion, which is impossible, I find myself this is a contradiction. Both are in a state of sin. But why be strict with those who hate, but merciful with the remarried divorced? Let us return to Peronism. At present, paradoxically, one wants to let in those who are outside but wants to push out those who are inside. Certain statements are dangerous when they fall on weak or less conscious circles, and have devastating consequences. We risk emptying the churches even more. Don Nicola Bux: It's a matter of principle. Can the Pope spread his private opinions instead of the everlasting Catholic truth? No. 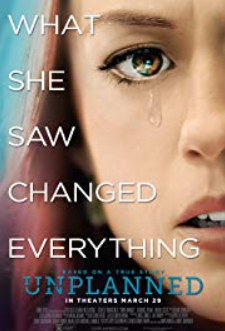 He is not a private doctor, and it is inconceivable to change her at will or to provide versions of her that contradict the Catholic doctrine and beliefs that are not even found in a museum. And there's something else to say about that, too. QQ: What do you mean? Don Nicola Bux: If the museums were useless, nobody would visit them. Do you not agree? The Pastors of the Church must always express their faithfulness to the sound and everlasting doctrine and truth without any contamination, and have to preserve it carefully. A Pact Between Pope Francis and the Society of Saint Pius X for the Isolation of Tradition? Is Pope Francis preparing to eliminate the Ecclesia Dei communities with the help of the Society of Saint Pius X. 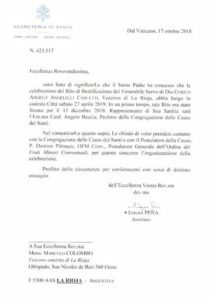 (Rome) More and more voices are dealing with the rumors that the Pontifical Commission Ecclesia Dei is about to be dissolved. Alessandro Rico, born in 1991, studied philosophy at the Sapienza and Political History of Ideas at the LUISS in Rome. In 2017 he published together with Lorenzo Castellani the book "The end of politics? Technocracy, Populism, Multiculturalism". (2) He calls himself a "Catholic, Conservative and Opponent of Political Correctness". Both are close to the Catholic tradition. (Rome) The bishop of Porto, Manuel Linda, has denied the virginity of Mary just before Christmas. But even Pope Francis, who appointed him to this office in March, seems to have his difficulties with the Most Blessed Virgin and Mother of God. In his less-publicized address on December 21 at the Christmas reception for the Holy See and Vatican City staff, the Catholic leader spoke about Mary and Joseph. Pope Francis de facto denied on this occasion the dogma of the Immaculate Conception, proclaimed in 1854. Mary is revered by the Church as comceived without sin. She was born without the stain of original sin, and remained without sin for the rest of her life. In the Eastern Church, she is addressed with the title of Panagia. "Perhaps the Pope does not know the dogmas of his own Church?" Asks today the Roman website Chiesa e post concilio (Church and the post-counciloar period). The Bishop of Porto corrected himself two days after his denial of virginity. From Pope Francis six days after that, nothing is known. The Vatican officially published its confusing statement on its website in Italian and English. Cardinal Zen: "I must choose between rebellion against the Pope, and silence." "Global Times on the Vatican delegation in the People's Republic of China. Cardinal Zen: "I have to decide". (Rome / Beijing) Vatican spokesman Greg Burke indirectly confirmed the Vatican operation in the People's Republic of China to force legitimate, faithful bishops to resign, giving way to schismatic, bishops. On Saturday, December 15, the Global Times, a regime friendly, English-language newspaper in the People's Republic of China, reported the presence of a Vatican delegation in China. 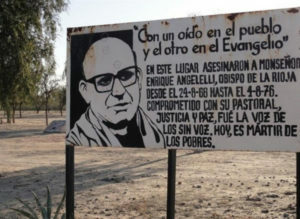 This had taken place in the Communist empire because of "practical steps in the implementation of the agreement on the bishops". Last September, for the first time since the Communist takeover in 1949, a bilateral agreement was signed between the Holy See and the People's Republic of China, but its contents are kept secret by both sides. As the Global Times confirmed, this is about episcopal appointments. In 1958, the Communist regime established its own religiously dependent Catholic Church, independent from Rome, the so-called "Patriotic Association," and has since appointed its own bishops without the consent of Rome. These bishops were excommunicated from Rome. Simultaneously with the signing of the secret agreement, Pope Francis lifted the excommunication of these bishops and recognized them as legitimate bishops. The agreement also appears to require that these bishops be appointed and recognized as diocesan bishops by Rome. Since autumn 2017, it is known that the Vatican is urging two faithful bishops to resign to make way for bishops excommunicated so far. Last week, as the newspaper reported, a Vatican delegation was in the "Middle Kingdom" to hold "talks on the implementation of an agreement on the appointment of bishops. "These," said a spokesman for the Holy See, "talks were conducted with both government and church representatives." The spokesperson, according to the article, was Vatican spokesman Greg Burke, who was contacted by the Chinese newspaper last Friday. The newspaper also quoted Wang Meixiu of the Chinese Academy of Sciences as saying that the talks were about filling vacant episcopal chairs. The Global Times also confirmed that a bishop appointed by the regime is being used by the Vatican as a legitimate diocesan bishop. Underground Bishop Guo Xijin of Mindong accepted the papal call to resign last Friday. He is replaced by the regime's Bishop Zhan Silu. Bishop Guo Xijin was a dialogue partner of the Vatican delegation. He will be, as the Vatican wishes, auxiliary bishop of Bishop Silu in his former diocese. He confirmed this to Global Times after the meeting with the delegation from the Vatican. Global Times presented the unusual resignation and role reversal as a "normal castling," which goes back to "practical", ecclesiastical "necessities." There is talk of a "new model" that, if accepted by both sides "with good will", could be established with regard to episcopal nominations. Should that translate to mean that the diocesan bishops in future come from the Patriotic Association and the auxiliary bishops from the Underground Church? "The Press Office of the Holy See did not respond to questions as to whether the delegation's mission also included discussions on the establishment of diplomatic relations or a possible visit by Pope Francis to China." Cardinal Zen: "Unacceptable, so I'll be silent from now on"
Meanwhile, Cardinal Joseph Zen, emeritus bishop of Hong Kong and gray eminence of the Chinese Underground Church, commented on recent events. He was disappointed with the monthly Tempi that Rome forces legitimate and faithful bishops to resign to establish bishops who have been unfaithful and have turned away from Rome. "I have told these two bishops that they should not resign voluntarily so as not to cooperate with evil. But I have also advised them to obey if the Pope orders it, because a pope's command must always be obeyed." At the beginning of the year, Cardinal Zen experienced the great defeat when it became clear that Pope Francis is against all warnings, for the agreement with Beijing (see also "The problem is who sits in the cage" ). Because of this disappointment, the cardinal reasons, since it is impossible for him because of his office and as a Catholic, to criticize the Pope, he will at last to retire to a monastery and to keep silent. "There is the problem of the seven bishops excommunicated and pardoned by Francis. So far none of them has been placed at the head of a diocese. If this happens, I will be silent for ever, because that would be unacceptable and would force me to decide to rebel against the Pope or to remain silent. I will be silent." “Gesture of obedience": Archbishop Celli with legitimate bishops of China, who have to resign in favor of bishops who belong to the state. (Beijing) Two legitimate bishops were called to resign yesterday on behalf of Pope Francis. They have to give way to Patriotic bishops loyal to China’s Communist regime. Underground Bishop Vincent Guo Xijin was the Bishop of Mindong, officially recognized by Rome. He was rejected by the Communist government in Beijing. At the insistence of Rome, he will now resign to make room for a bishop in the diocese, whose excommunication was lifted by Pope Francis last September. The repeal was a one-sided advance of Rome for the signing of the secret agreement between the Holy See and the People's Republic of China on the same day. The content of the agreement is kept secret in agreement of both sides, but should relate to episcopal appointments. Pope Francis abolished the excommunication of seven bishops whose episcopal ordination had been ordered by the communist government without the consent of Rome. Part of the agreement seems to be that not only the excommunication should be repealed, but all previously bishops of Rome as diocesan bishops must be used and recognized. In order to make this possible, the Vatican negotiators urged legitimate bishops in the fall of 2017 to renounce their offices. They must subordinate themselves in rank to the bishops who belong to the state and become their suffragan bishops. Bishop Vincent Guo Xijin was also urged to do so. In the past two years alone, he was arrested twice and taken to an unknown location. A popular method in the People's Republic of China is to exert pressure, intimidate, or subject regime opponents to re-education. His place as Diocesan Bishop of Mindong will be occupied by Vincent Zhan Silu. This became known yesterday after Bishop Guo gathered his priests in the afternoon to explain the situation to them. Bishop Guo, who will be Auxiliary Bishop of Mindong in the future, had just returned from a place near Beijing. Curial Archbishop Claudio Maria Celli, the head of the Vatican delegation that had prepared the agreement and signed it on behalf of the Pope, had sent him there. Archbishop Celli handed Bishop Guo a letter from Cardinal Secretary of State Pietro Parolin and Cardinal Fernando Filoni, Prefect of Propaganda Fide. In it they asked him to cede the leadership of the diocese to Zhan Silu. Archbishop Celli emphasized to the bishop that Pope Francis awaits his resignation as a "gesture of obedience". It is a "sacrifice for the overall situation of the Chinese Church,” which he has to bring into being. The news, AsiaNews said, has "saddened" many priests and believers. Until now it was the case that an episcopal bishop, reconciled to Rome and recognized by the Holy See, subordinated himself to the Underground Bishop and became its Auxiliary Bishop. "Now the opposite is the case," says AsiaNews. In the diocese of Mindong, the vast majority of the faithful and the priests belong to the Underground Church. The Natuonal Patriotic Association has counted at best ten percent of the faithful and 20 percent of the priests. Thanks to the Vatican-Chinese agreement, the state-owned organization is now also in control of the underground church. The question of who benefits from the agreement does not have to be asked. Cardinal Joseph Zen, emeritus bishop of Hong Kong and gray eminence of the Underground Church said in September. It is the government in Beijing. Bishop Peter Zhuang Jianjian was also summoned to meet Archbishop Celli. He too will resign "as a papal wish" as Diocesan Bishop of Shantou. His place will be taken over by Bishop Joseph Huang Bingzhang. The paths approved by Rome are still a stumbling block for those affected. In order for the legitimate bishops, after their resignation, to become auxiliary bishops of their previous dioceses, they need the approval of the communist government and the bishops' council. They depend on those from whom they have so far been able to stay away from great sacrifices but successfully. Even before signing, Cardinal Zen said that the Vatican would hand over the faithful underground church to the regime. Secretary of State Pietro Parolin grants blessing to the Global Migrationspakt in Marrakech on behalf of Pope Francis. The Global Compact for Migration is signed. Above all, it bears numerous signatures of representatives from countries of origin. Significantly lower are the signatures of representatives of the target countries. In some state chancelleries one is still able to ask the simple question about the cui bono. The Holy See was represented in Marrakesh by Cardinal Secretary of State Pietro Parolin and gave the Pact the blessing of Pope Francis. In September 2015, Pope Francis was the only representative of religion and thus the recognized highest moral authority in the New York Glass Palace of the United Nations, giving his blessing to the United Nations Sustainable Development Goals (Officially: Transformation of Our World: the 2030 Agenda for Sustainable Development). Abortion or not. Last Tuesday, the Secretary of State did the same with the Global Migration Pact in Marrakesh. The migration compacts represent another step towards globalization and thus the curtailment of state sovereignty. Ornaments or no. What they mean exactly must first be shown, and not just because they have to be put into action. Rather, because terms are out of focus and therefore fluid. That's the intent. Since 2015, this approach has been pre-explored on a grand scale with the fluent synonymisation of refugee and migrant. The text of the treaty seems to be deliberately conceived as work in progress. It is spongy, so that its concrete implementation leaves a wide scope for those who can shape it. These are the ones who wanted the pact. They have given themselves a remarkable instrument in hand. At the beginning of the week, the Vatican gave the green light to the Global Compact for Migration on behalf of Pope Francis. Specifically, this means the absolutization of migration as a right. In other words, for the Holy See under Francis, migration under all circumstances is always a good thing, and the reception of migrants by the countries of destination under all circumstances and is always a duty. In terms of religious history and theology, the "Welcome Culture", postulated overnight in 2015, has been elevated to the rank of a commandment by the Holy See and a violation of it to the status of a sin. The next step will be in a few days, on the 19th of December, before returning to the Glass Palace in New York. There the UN General Assembly will formally decide on the Migration Pact. The result of the vote is already known. The Vatican is not a member of the UN, which is why the Secretary of State was present with the status of Permanent Observer in the Moroccan metropolis. As such, it can not only attend the UN conferences, but also speak. What did Cardinal Parolin say in Marrakesh? He announced that he had already, “initiated the process, in order to find the most efficient ways in which the Catholic Church institutions and Catholic organizations around the world" could benefit from the global pact. What exactly that means, is in view of the matter is in substance less tangible than the more than unclear contract text. More decisive is the declaration of intent, which is an unconditional commitment to the UN migration agenda. In fact, for more than five years, Pope Francis has been among the most active among the leading contributors to the migration agenda, even though he is not its inventor. - the handling of a "global phenomenon" can not be "entrusted to individual states" but "only to the international community". Migration is a global phenomenon insofar as it occurs in many countries worldwide. However, this is not a specific case for a global phenomenon because no migration movement takes place globally. Every situation in each country of origin is different, the migrant, smuggler and boat routes are different, the destinations are different and the situation is different and are the motives of each individual migrant. This refutes the claim that individual countries can not handle the migration. What else? In reality, Merkel spoke in favor of the disempowerment and disenfranchisement of the sovereign states, which in a central question in general, human movements, would no longer be one, that is, sovereign. From this perspective, the Migration Pact turns out to be a gigantic attempt to enforce global free movement, which would be the first step towards the end of today's states. Did someone say so? Has anyone so decided, for example, the German Bundestag? No. Through the back door to the democratically legitimized legislative bodies and above all facts concocted contrary to the constitutional obligations. Sovereignty and democracy were apparently in the minds of some rulers yesterday. The pact is therefore by no means irrelevant, as some commentators try to assure, just because it does not contain concrete measures and is more like a declaration of intent. The meaning lies exactly in this declaration of intent. It reflects what the truly powerful aspire to, and that is alarming. Secretary of State Parolin justified his presence in Marrakesh by pointing out that "more and more people are forced to leave their homes because of adverse factors". The formulation was surprisingly generic. The political arm of Pope Francis, Curial Bishop Marcelo Sanchez Sorondo, already described "climate change" as a reason for immigration to be recognized. If one takes the disaster-making of the UN prophets of doom at the World Climate Summit in Katowice at their word, such as the UN Socialist Secretary General Antonio Gutierres, then "whole countries" are threatened by climate change so that they would be uninhabitable in the near future. As a precaution, however, he did not give a concrete example of his daring claim. However, the notice already announces which arguments could be used to justify coming waves of migration. Parolin seconded the advocates of the migration agenda in Marrakesh, categorically identifying migration as the "involuntary journey" that "puts migrants and their families in vulnerable situations.” The most common reason for migration, economic migration, is concealed and neatly excluded from all discussions. As far as Pope Francis is concerned, everyone has a right to go where he wants to go. But the countries of destination have no rights, because they have to absorb and shut up. If you do not, you are guilty. This is the new moral of the new globalist era.